Mondayzzz! I decided I should start this week with something sweet & delicious, but also guilt & gluten free. In part, this recipe takes inspiration in the project initiated by the nice people at Nuts.com advocating the benefits of almonds consumption. Their page dedicated to almond products, it’s more than any mortal can take. 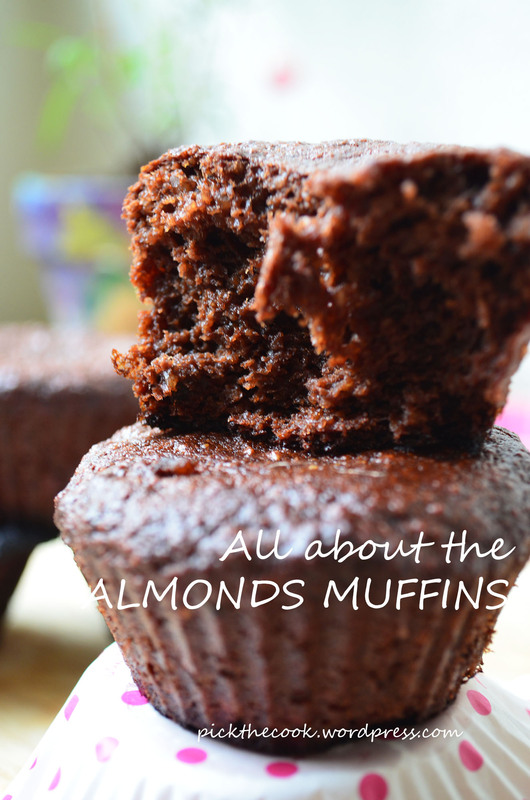 I love almonds, almond milk, almond butter, almond flour… anything with almond flavor, I just love it! Besides being delicious, almonds are a great source of essential oils, protein, calcium, iron, magnesium, potassium and vitamins E, B2, B3, B6… Now you know why I’ve experimented with almonds/ almond flour and even made my own almond milk a number of times (it’s 100 times better than anything you can buy) and this time I am really excited to come up with something new, easy to make (great “bake with kids” project), scrumptious, but also healthy. Ok, so these are the ingredients…baking soda did not make it to the final cut, and you’re about to find out why. You will also find the ingredients bolded below. 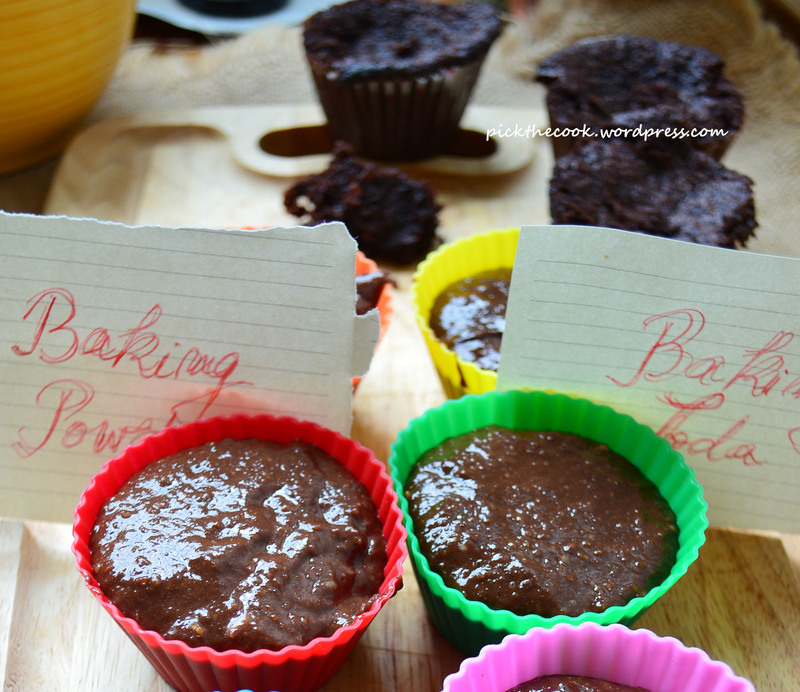 Preheat the oven at 350 F/ 180 C.
Puree 1 banana, add 1 tbsp almond butter and whisk them together until smooth. 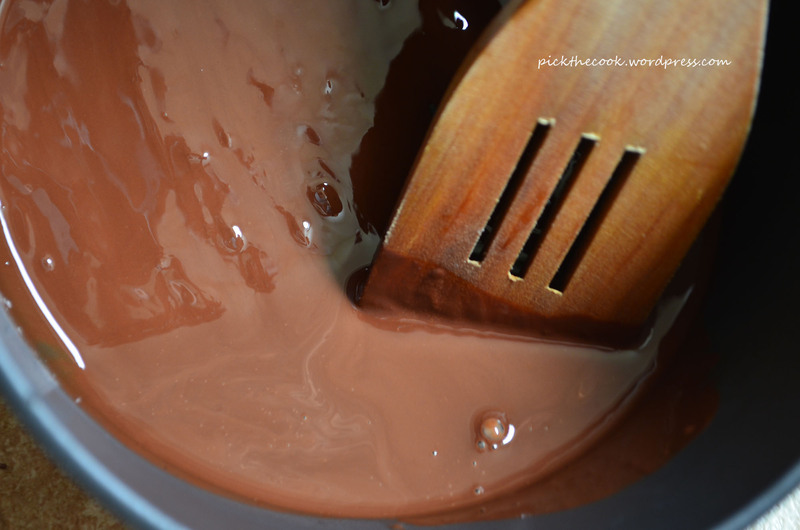 Add 2 tsp carob powder (make sure there are no lumps) and ½ tsp cocoa powder and continue whisking. 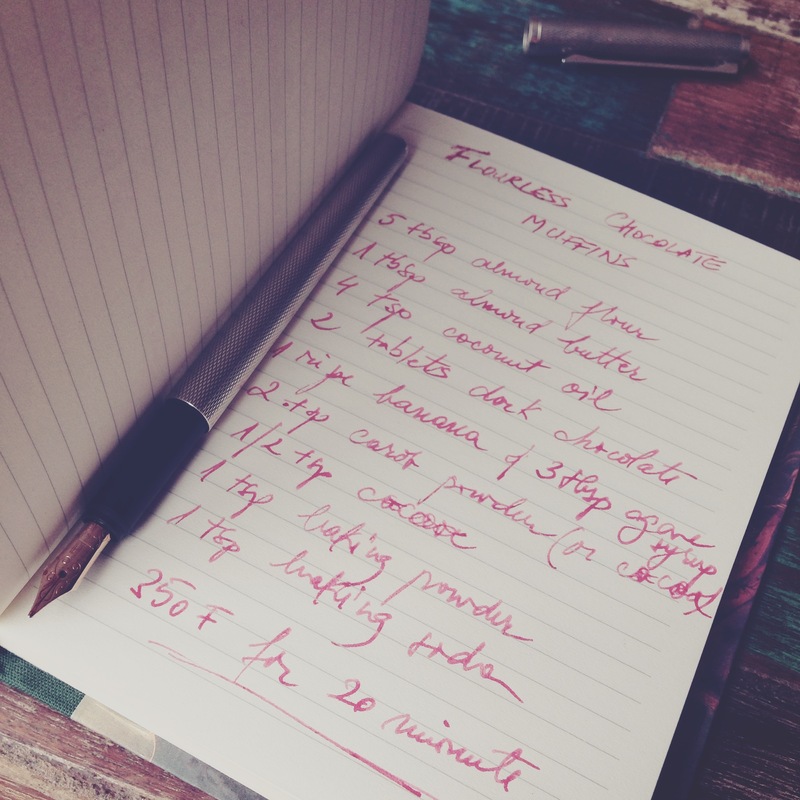 Add one drop of almond extract (optional) and 3 tbsp agave syrup and whisked them all together. Using a small sauce pan, melt 2 tablets (about 50 gr.) 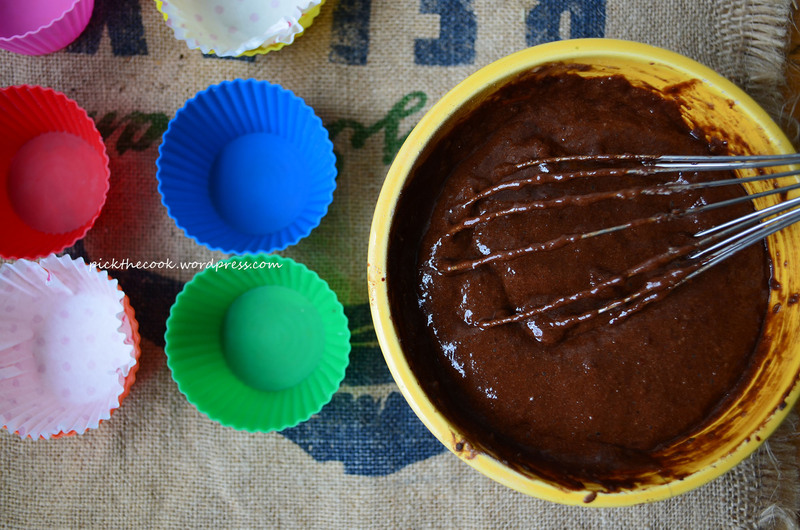 dark chocolate (I used 70%) with 4 tsp coconut oil. Add the melted chocolate to the banana and almond butter mix and stir well. Now add 6 tbsp almond flour (in the first version I only used 5, but 6 it’s better) and stir until all the ingredients are incorporated and the “batter” is smooth. Add 1 tsp baking powder and mix for the last time. 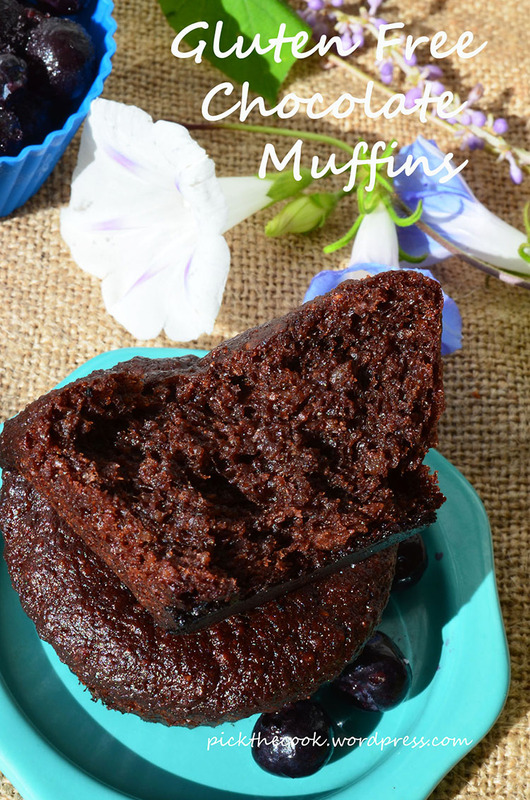 Divide the batter between 6 muffin cups (or muffin pan) and bake for 20 minutes. Enjoy them with a cup of tea/ coffee! For extra fanciness you can serve them with a sauce of blueberries or a serving of fresh berries. 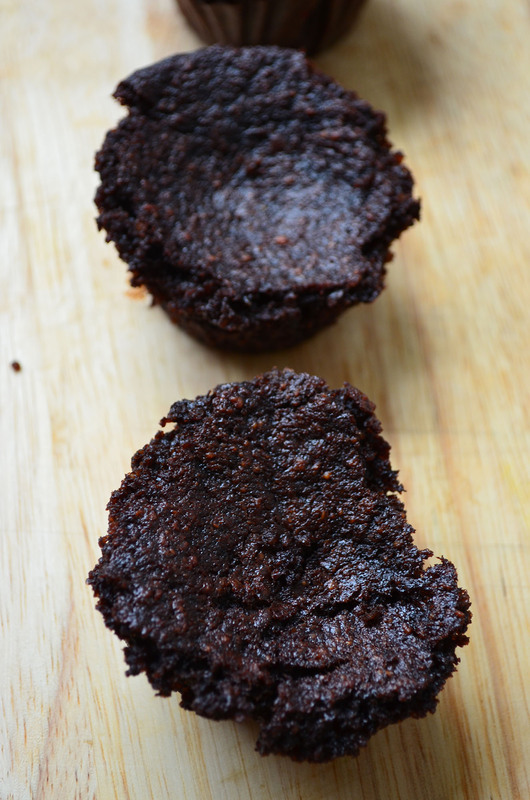 For the first batch of almond flour chocolate muffins I made, I used both baking soda and baking powder. really tasty, but not so hot looking! 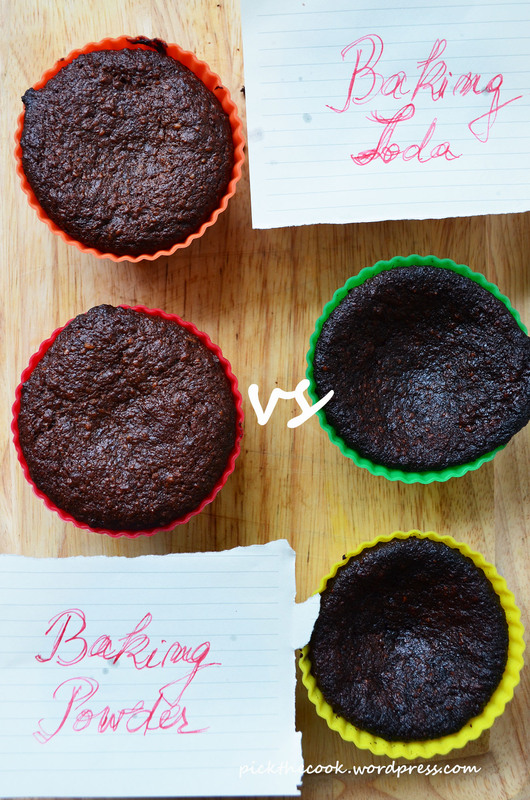 So, I decided to redo the recipe and to separate the batter in two equal parts in order to find out once and for all which is the best raising agent: the baking soda or the baking powder??!! Enjoy your muffins and have an awesome week! Thank you! 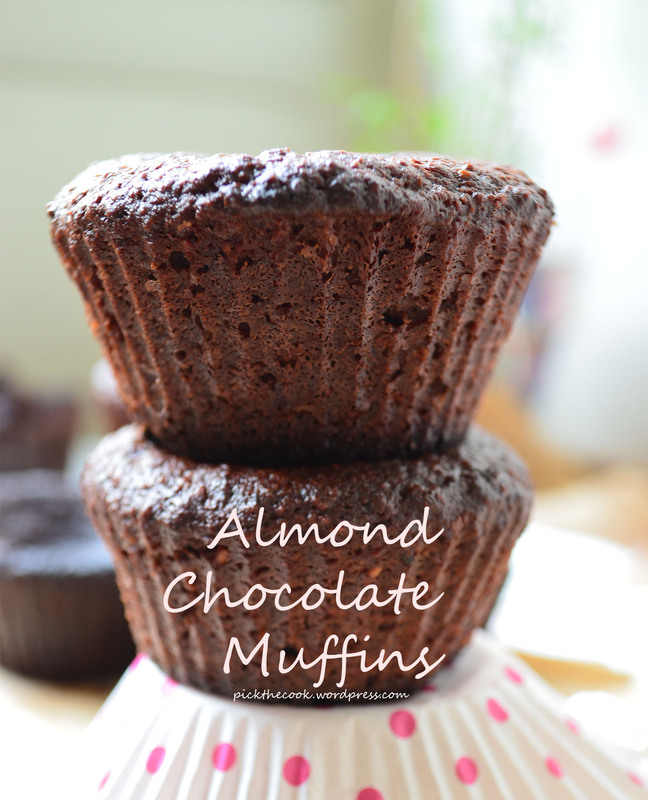 It’s a matter of taste, but I prefer the muffins made with almond flour over the traditional type any day of the week.